Investing into real estate in any major European metropolis sounds promising. However, in too many cases such investment has its drawbacks, for example the exorbitant prices or low revenues. These cities and the investment options in them naturally differ from each other, which is why we have chosen five examples that shall serve as a comprehensive list of specific pros and cons for investors to consider. At the top of our list is London – the city with the highest real estate prices. In the last nine years, the skyrocketed prices have been dropping here at the greatest rate so far. The Halifax bank reported that the drop in the first quarter of 2018 was 3.8%. Prices in other parts of the country, on the other hand, are on the rise. According to Home.co.uk, the average price of a flat in April 2018 was 618,316 GBP, median being 430,001 GBP. Consulting company Savills claims that 58% of the London demand centres on flats below 4,800 pounds per square meter, while only 25% can be satisfied given the offer of new apartments. The London real estate market remains stalling as a result of the insecurity brought about by Brexit, the rise of the tax on the purchase of property, and the expected rise of interest rates. However, future buyers can look forward to the apartments becoming more accessible. At least that is what the Capital Economics company suggests, expecting London prices to drop by 3% this year and up to 5% the next. The most expensive districts to invest in are Kensington, Chelsea, Westminster, Camden, Hammersmith and Fulham, and the City. You will find the lowest prices in Lambeth, Southwark, and Brent. Paris is the opposite of the London market. While the property prices in the rest of France keep falling, in the capital they have been rising in an unprecedented manner. Moreover, this trend does not seem to cease any time soon, as an ever growing number of investors shows interest in acquiring their own estate in Paris. Some of them have directed their attention here because of the above mentioned insecurity brought about by Brexit that has been settling down in London. Other reasons for the shift are the election of pro-business Macron for presidency and the fact that Paris will house the Summer Olympic Games in 2024. Apartment prices have reached record heights. Growth has slowed down this year, but the most recent data from the Seloger.com server show that the prices will soon rise above 10,000 EUR per square meter. The average price was 9,759 EUR per square meter at the end of January. The growth in the 1st, 6th and 18th district regularly reaches a double-digit mark. Together with the 13th, 19th and 20th districts, the 18th district also remains to be the cheapest, and thus the most promising location for investors. In 2017, Vienna again topped the ranking for quality of living in a study published by the Mercer company. What investors may find particularly appealing is the fact that the average interest rates are low, falling to 1.75% in November 2017. On the other hand, the real estate prices rose only by 0.32% in 2017, which server Globalpropertyguide.com notes as the smallest rise since 2003. The most luxurious part of the city is the Innere Stadt where you can find the Old Town. According to Immopreise.at the local average property price reached some 12,265 EUR per square meter in 2017. Prices in the neighbouring districts (2nd to 9th) are similar, while they can get three times lower outside the centre. It is rather easy to lease an apartment in Vienna, although the profits are not very big. They come up to only about 1.7-2.3% in the Innere Stadt, as stated on Globalpropertyguide.com, while you can find values of 3-5% in other exclusive locations, such as Margereten, Mariafilfen, Favoriten, Hernals, or Leopoldstadt. Investors may find the situation in this city rather unattractive. Apartment prices have been growing since 2015 and the growth does not seem to be stopping any time soon, although it is getting slower owing to the dropping demand. The average interest rate rose to 2.4%, but this will probably not influence the prices. The prices started at 2,168 EUR per square meter and have already grown unbelievably by 53.5%. According to the developers Trigema, Skanska Reality and Central Group the average price of a new apartment was 3,459 EUR per square meter at the end of the first quarter of 2018, which is 22.8% more than in 2017. You will find the lowest prices in Prague 4 and 9 and the highest in Prague 1. This is where the investment really pays off. Consulting company Knight Frank states that the property prices rose by 20.5% in 2017, which got Berlin to the top of the ranking leaving the other 149 observed cities behind. In spite of that, local apartments are about 5 times cheaper than in London and 3 times cheaper than in Paris. 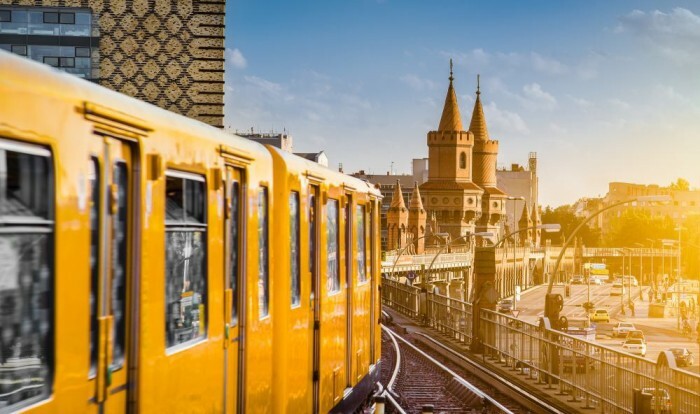 Berlin is among the cheapest European cities. At the beginning of 2018, the property price median was 3,706 EUR per square meter. Other important things to note are low interest rates and fast-growing population. About 50,000 people moved to Berlin every year over the last five years and the city currently has over 3.5 million citizens. This naturally provokes an enormous real estate demand, which can be expected to last in the future. However, the interest rates are also expected to grow and that may cause the price growth to slightly slow down. Prenzlauer Berg, Mitte, and Kreuzberg are among the most sought-after districts. The prices drop by some 25% in Neukölln.